Learn to make games in the Godot Game Engine and become a game developer. Welcome to the Godot Game Engine course! Godot is a free open-source game engine that is gaining traction due to it’s multi-platform capability and ability to make both 2D and 3D games. In this course, you will learn Godot’s scripting language GDScript and learn all the basic features so you can start making games. Whether you want to make games or learn to code, you will learn both in this course. 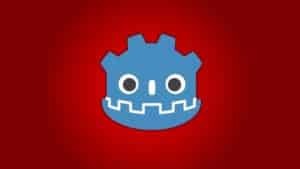 The Godot game engine is gaining traction with more and more people deciding to use a free game engine, it’s necessary to understand it well so you can make great games.